In January we announced Predict and Prevent, Google.org's global public health initiative that aims to help prevent the next pandemic. Since then our team has traveled far and wide to meet with partners, particularly in Southeast Asia and Sub-Saharan Africa. We convened a workshop with the world's experts on emerging infectious diseases in March, sponsored a meeting of climate and health experts in Nairobi in September, and attended workshops and conferences. Predict and Prevent has adopted a "one health" approach integrating human, animal and environmental health. We focus on knowing where to look for outbreaks of emerging infectious diseases, detecting those outbreaks through digital and genetic approaches, and supporting early warning and quick response. 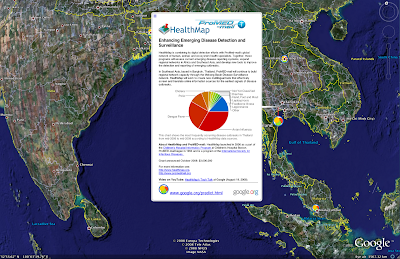 Our partners' activities range from the use of environmental information to help health experts improve disease surveillance, to monitoring viral chatter and enhancing pathogen discovery, to strengthening networks for online disease outbreak reporting. These grants will increase our understanding of emerging infectious diseases and generate vasts amount of data, samples, sequences, and hopefully discoveries. Our next step in putting this new knowledge to work to save lives will be to invest in robust, affordable infectious disease diagnostics for use in Asia and Africa. 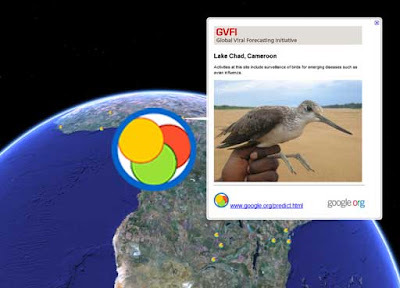 We're working to find ways Google's data management, data sharing, and collaboration platforms can improve information access and sharing, support online bioinformatics, and develop genetic maps of infectious diseases. Finally, we're looking to work with partners on front lines of disease emergence in hot spot countries. In short, we are very excited about the grants we announced today, but we know we have our work cut out for us - watch this space!